A student armed with a handgun wounded two classmates at a Maryland high school on Tuesday. Austin Wyatt Rollins, 17, entered Great Mills High School in Great Mills at the beginning of the school day and used a semi-automatic handgun to shoot 16-year-old Jaelynn Willey in a hallway, Sheriff Tim Cameron said. A male student also was shot in the leg. There is an indication that a prior relationship existed between the shooter and the female victim, Cameron said. Details on a potential motive are not yet clear. Willey was transferred to the ICU at UM Prince George’s Hospital Center, where she has life-threatening injuries, Cameron said. 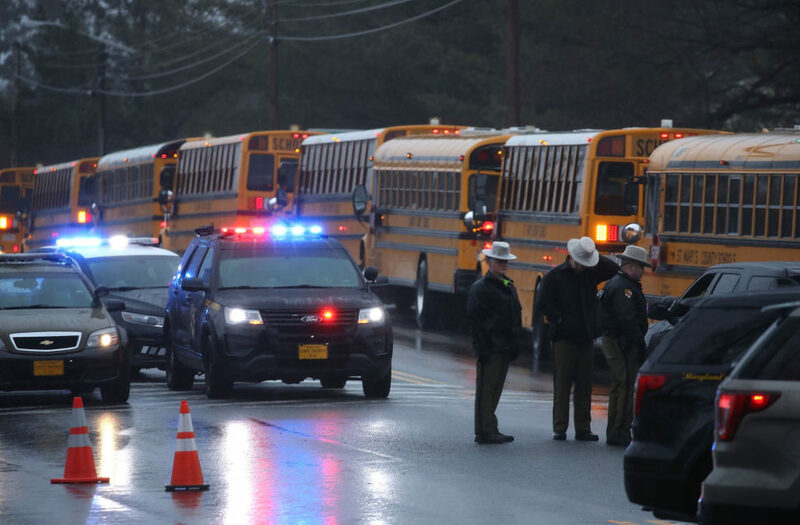 Following the shooting in Great Mills, students were evacuated to a nearby school where they were reunited with their parents.